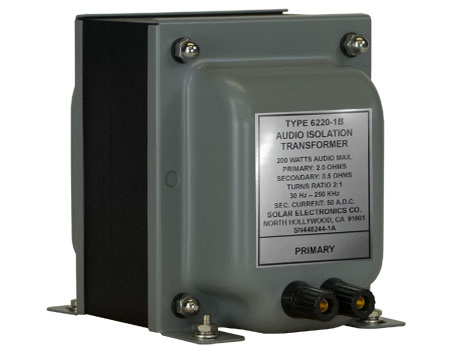 Effective January 2017, we have assigned new part numbers to our line of audio isolation transformers. Rest assured that the same performance you have trusted for more than 50 years has not changed. Why the change after all these years? Because you, our valued customers, began requesting data and certificates of calibration for our transformers, which historically we did not provide. 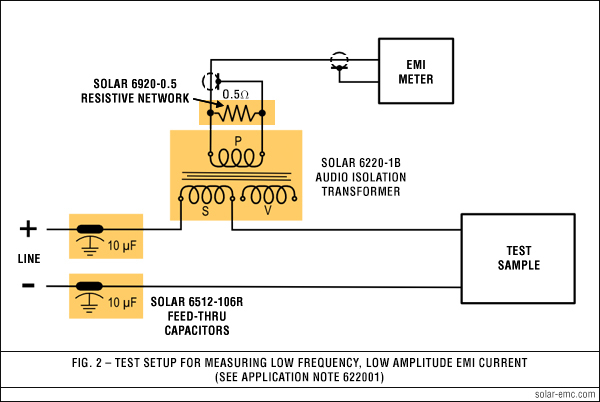 The part number changes indicate that we will now provide for each transformer a serial number, a frequency response curve, a correction factor curve for the voltmeter winding, and a certificate of calibration with a five-year calibration cycle. The transformer is capable of handing up to 200 W of audio power into its primary over the frequency range 30 Hz to 250 kHz. The turns ratio provides a two-to-one step down to the special secondary winding. The secondary will handle up to 50 A of AC or DC without saturating the transformer. Another secondary winding is connected to a pair of binding posts suitable for connecting to AC voltmeter as directed by the applicable EMI specifications. This winding serves to isolate the voltmeter from power ground. Neither the primary nor the secondary windings are connected to the end bells of the core. The transformer may be used as a 4 Ω primary and 1 Ω secondary or 2.4 Ω primary and 0.6 Ω secondary or 2 Ω primary and 0.5 Ω secondary. • Provides a convenient bench model unit with three-way binding posts on primary and output voltmeter leads. Standard 0.75" spacing of binding posts allows use of standard plugs. High current secondary uses 1/4-20 threaded studs. • Capable of handling the audio power required by EMI specifications and up to 50 A of AC or DC through the secondary in series with the test sample. 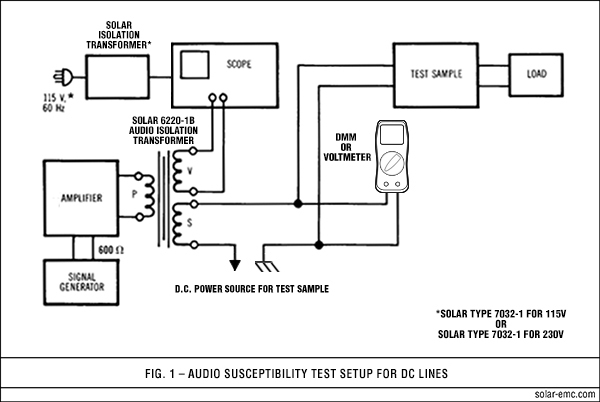 • May be used as a pickup device or an isolating inductor in other tests.